Bob Clarke has been a member since 1966 and since that time has been on the club’s executive 19 times, holding every position except Treasurer. That’s a lot of involvement for someone who was originally star-struck by the idea of being able to join the prestigious club. 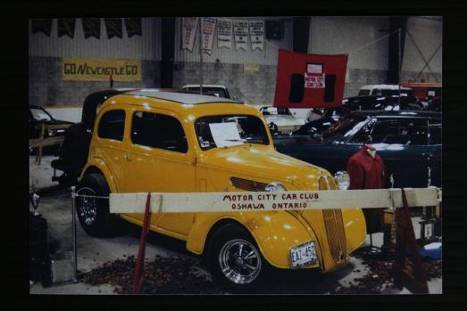 It took two years to build the 327-powered Anglia, starting at the clubhouse on Townline Road and finishing it after the club moved to Bloor Street. “Back then there were no kits, no 1-800 to call,” he says. “I made everything. 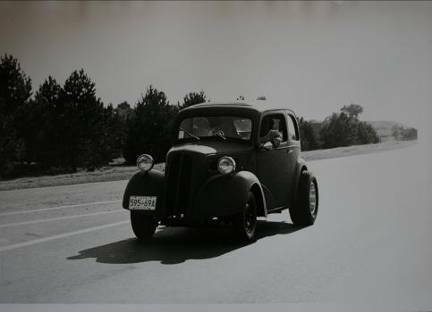 Every bracket, every steering component, every mount, virtually everything was handmade.” Bob did everything except the bodywork, which he had yet to master (and since has), but he obviously did it right: the car took him many thousands of miles, including shows in Tennessee, Oklahoma, Colorado, Nebraska, Chicago and North Bay – that last one in a snowstorm. The Anglia was the first in a string of cars, purchased and then “Clarke’d,” the term for his penchant for not leaving anything alone until it’s done exactly right. His daily driver while he had the Anglia was a new 1967 Camaro SS, which got written off in a crash; next came a 427-powered 1969 two-door Chevy Biscayne, which he sold. 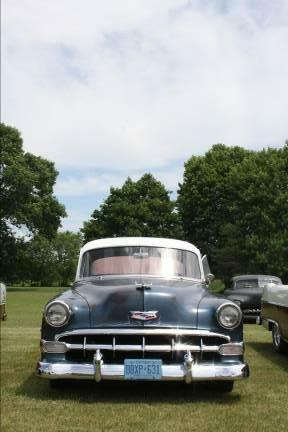 He still has the next three: a 1933 Ford Tudor sedan, 1947 Buick Roadmaster sedanette that’s still under construction, and a 1954 Chevrolet 210 two-door sedan which was “mint,” as he puts it, and of course was then “Clarke’d” when he tore apart all of the mechanicals anyway and redid them to his standards. He and his wife Patricia are boat fans, with a 21-foot Cougar tunnel-hull. His keen eye for workmanship sent him in a new direction in 1969, when he visited Cobo Hall in Detroit and Bob Reynolds, an official in the ISCA, made him into a judge. 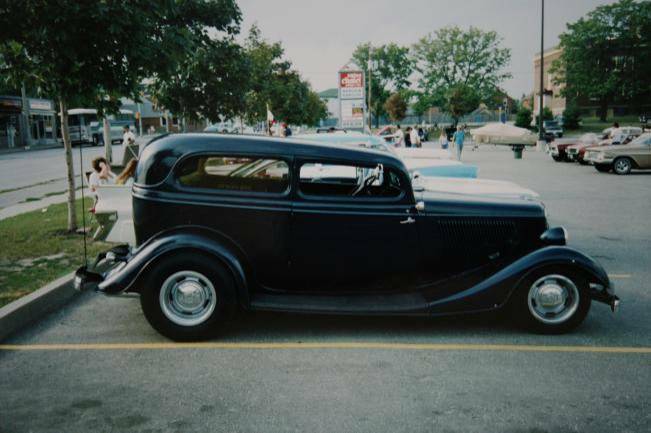 “I had no credentials; I was a member of Motor City Car Club, and it was an opportunity of the right place at the right time,” he says. “But shortly after that, I started working for Bruce Robertson, judging at Speedsport, and that turned into a paid position with ISCA as a judging official, which turned into a judging supervisor, and that lasted until the mid-1980s.” He finally gave it up when he and Patricia, who also travelled extensively for her job, got tired of the long hours and constant flights. “This was in addition to my job. I’d have to take a day off my job to fly in on Thursday to put the cars into their classes, have the judging sheets ready for Friday at noon, and good luck getting back to work on Monday morning.” But the exposure to some of the finest cars in the continent raised his personal bar, and quality of workmanship became ingrained. He was the first to receive the coveted “President’s Book,” a hardbound volume that covers the club president’s two years in office, and which spanned his time in the position in 2007 and 2008. Primarily a photographic record, “it’s pretty astounding,” he says. “I was stunned.” So far only two have been printed – Gary Challice received the second – and Bob is proud to have the inaugural version.